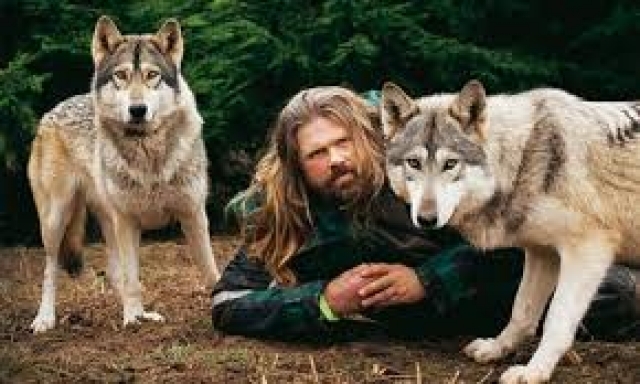 Wolfman Shaun Ellis is bringing his 2 packs of Timber wolves to Dartmoor Zoo as a temporary home while they await planning consent at their new Wolf Centre in Cornwall. Last year they found out they'd have to leave their home of 15 years, putting the lives of the wolves in jeopardy if a new home couldn't be found. Thankfully they have a new home in Cornwall, but while they await planning consent and then for the building work to go ahead, whilst simultaneaously reaching the deadline on when they have to leave North Devon, they need a temporary home, and Benjamin was more than happy to offer a field at Dartmoor Zoo for their usage. Dartmoor Zoo and the Wolf Centre have a very close relationship, Shaun Ellis has offered invaluable advice on many occasions with the wolves at Dartmoor Zoo, and Benjamin is looking forward to welcoming them all. It will be a fascinating time for the zoo and for it's visitors to learn about wolves and their conservation. On 4th March Benjamin headed to London to attend the Parliamentary announcement that three universities which research brain tumours have been named as centres of excellence. Brain Tumour Research chose The Queen Mary University of London, Imperial College Healthcare NHS Trust and Plymouth University will be part of a national network of scientists. The aim is to revolutionise research into the tumours, which kill more people under 40 than any other cancer. 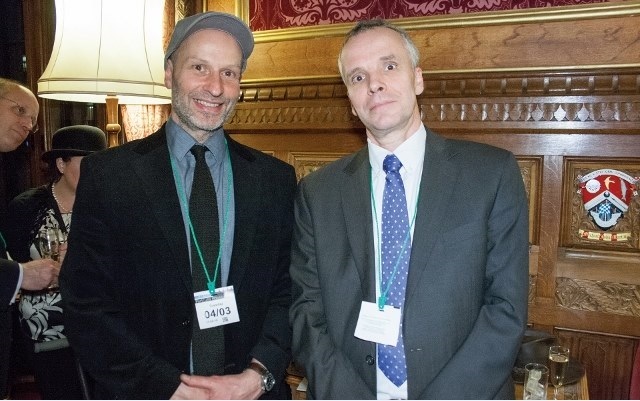 Pictured with Benjamin is Professor Oliver Hannemann who is the leader of Plymouth Researchers. Benjamin was extremely please to attend the event and hopes that with these new centres progress can be made into this devastating disease. As the local city to Benjamin, the idea that it could be solved on his doorstep is incredible, having found the relentlessness of the disease so frustrating as he cared for his wife. The centres all get funding of £1 million a year which will enable an intensive focus into researching the disease and potential treatment methods.